1. Please select chain length & material in the drop down list. 2. Please type initial you want to stamp in Product Customization below. The Product Customization is at the bottom. select an option 5.5" 6" 6.5" 7" 7.5" 8" 8.5" 9"
Personalized Set of 2 Gold Filled Initial & Pearl Bracelets. Delicate Gold Filled Initial & Pearl Bracelets, Perfect Everyday Bracelet and Great for Layering with other bracelets! 3. 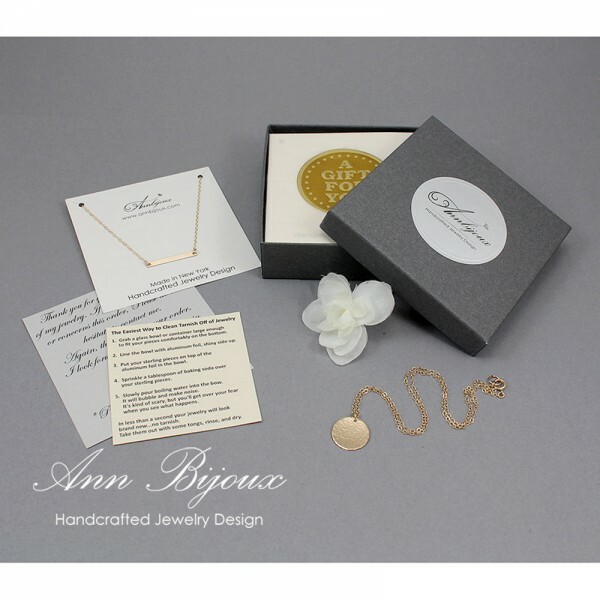 14K Gold-Filled Flat Cable Chain: 7"
* All items can arrive perfectly packaged and ready to be given as gifts upon request. Please note that each stamping is done by hand so each letter or name may have slight variations in depth, alignment, and spacing. These things should not be looked at as flaws, but as characteristics that give each piece its uniqueness.